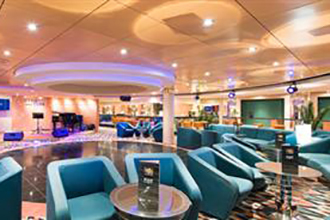 Classic, grand and opulent, you have it all with the spectacular 2,199-guest MSC Opera, greeting passengers of all ages with a warm welcoming feeling. 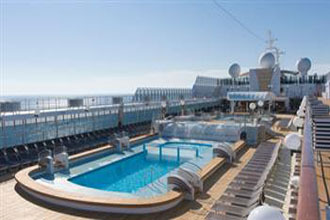 With spaciousness combined with grandeur, the stunning sleek ship offers the perfect cruise experience. 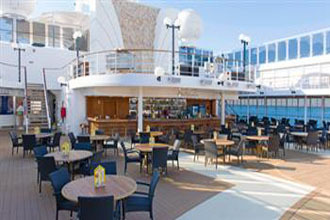 Enjoy a warm Mediterranean hospitality that will make you feel completely at home from the moment you step onboard. 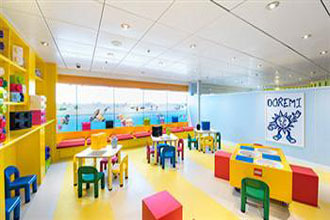 Enjoy a variety of modern amenities, sure to please all members of the family. 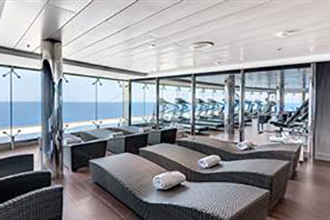 Relax with a drink at the two swimming pools and whirlpools and be pampered at the MSC Aurea Spa, plus work-out at the fitness center while the kids enjoy themselves with one of the many youth programs offered onboard . 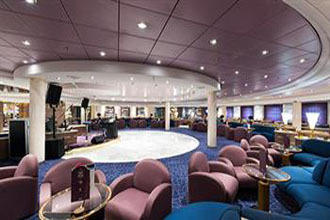 Keep in touch with friends and family at the Internet Café, plus many areas of the ship offer Wi-Fi. 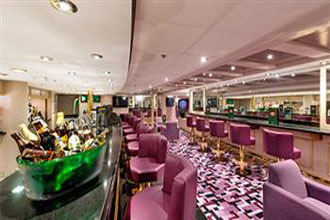 Chic bars and lounges can be found throughout the ship. Listen to fun music at the two piano bars, Piazza di Spagna and La Cabala. 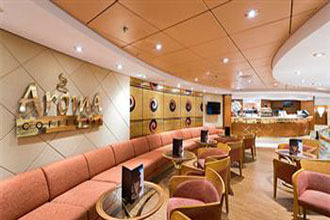 Enjoy your favorite brew at the Aroma Coffee Bar. 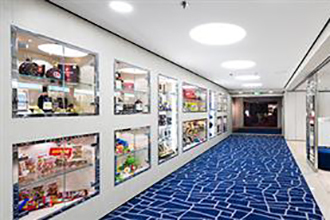 Read a bestseller at The Library and take advantage of duty-free specials at the Shopping Arcade. 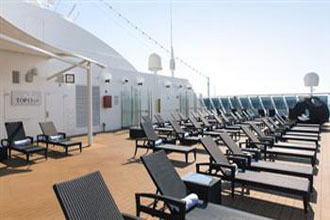 Go jogging on the track and sunning at the Solarium. Boasting two pools and whirlpools, is the popular Le Piscine Pool Area. Practice your swing at the Miniature Golf Course. 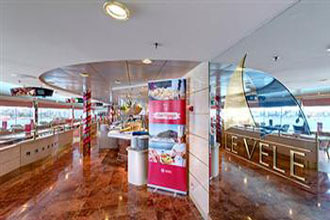 Savor mouthwatering classic Mediterranean cuisine and international dishes at the two main restaurants. Go for casual family fun at the fabulous pizzeria, as you dine al fresco in the lovely sea air, perfect for a quick lunch. 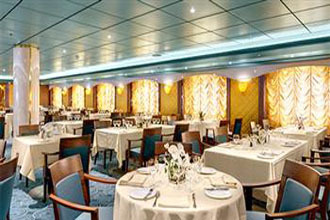 Various dining options are available on this lovely ship. 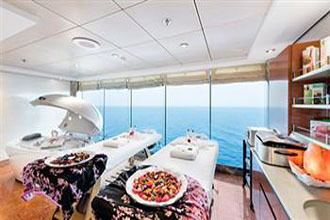 Stunning accommodations include interior staterooms, oceanview staterooms and balcony suites, all boasting air conditioning, TV, telephone and a mini-bar. 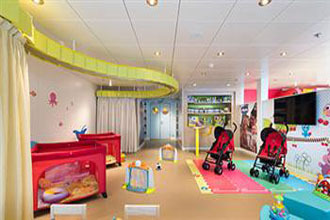 All are delightful and provide a relaxing home away from home, including those that are wheelchair accessible. 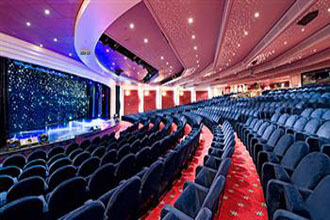 Enjoy shows at the theater featuring fabulous productions, dance the night away at the disco, with a futuristic decor and enjoy the excitement at the casino. 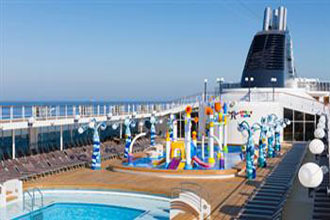 Cruising on the lovely MSC Opera will offer a fantastic vacation for every member of the family. 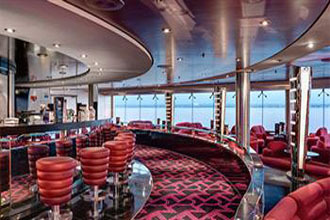 Cruise on the stunning MSC Opera to worldwide destinations. 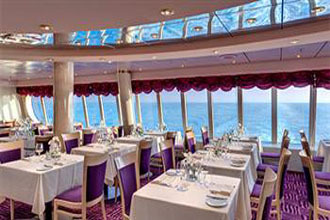 204 Balcony staterooms, size approximately from 161 to 172 sq. 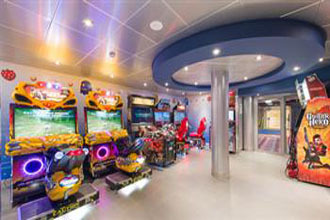 ft. Staterooms with private balcony, with double bed that can be converted into two single beds (on request).Air conditioning, bathroom with shower, wireless internet access (for a fee), TV, telephone, mini bar, safe. 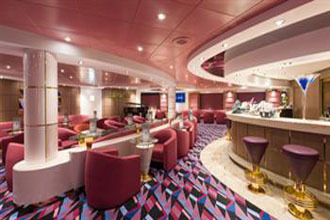 440 Interior staterooms approximately from 139 to 226 sq. ft. Double bed that can be converted to two single beds (on request), except cabins for guests with disabilities or reduced mobility.Air conditioning, bathroom with shower, wireless internet access (for a fee), TV, telephone, mini bar, safe. 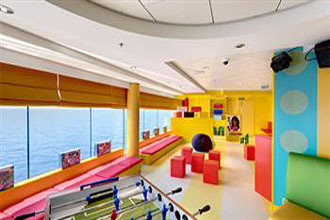 64 Ocean View with partial view staterooms approximately from 139 to 236 sq. ft. 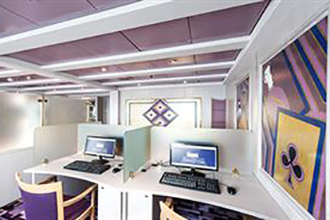 Double bed that can be converted to two single beds (on request).Lirica Class ships offer cabins for families comprising a bedroom area and a living area that sleep up to 4.Air conditioning, bathroom with shower, wireless internet access (for a fee) TV, telephone, mini bar, safe. 339 Ocean view cabins approximately from 139 to 236 sq. ft. Double bed that can be converted to two single beds (on request).Air conditioning, bathroom with shower, wireless internet access (for a fee) TV, telephone, mini bar, safe. 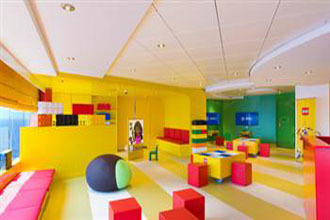 28 Suites size approximately 290 sq.ft. Suites with private balcony, with double bed that can be converted into two single beds (on request).Air conditioning, spacious wardrobe, bathroom with bathtub, TV, telephone, wireless internet access (for a fee), mini bar, safe. 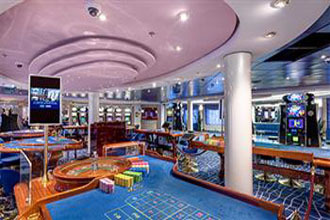 The Card Room, Internet Point & Library.